Just 9 days left to support UK dark comedy project Early Bird… – Stigmatophilia's gore splattered corner of insanity. Early Bird is a devilishly Dark Comedy about flatsharing in London. 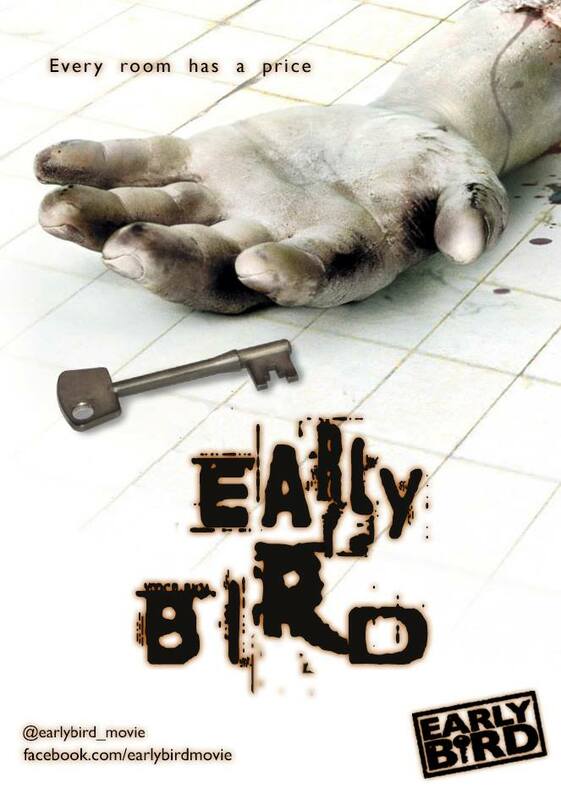 Welcome to the official Kickstarter Campaign page for our independent feature length movie, Early Bird. The film is a dark comedy that focuses on the trials and tribulations of flatsharing in London. The events are loosely based on the experiences of the film’s Writer/Producer – Andrew Flynn. We need your help to fund this film! Flatsharing is a daunting and often terrifying experience, especially in London where competition for even the very worst property is immense! It’s a very personal process that often demoralises all involved, in particular the person seeking a room. It’s an extremely blunt and unforgiving environment in which every aspect of your personality and appearance is under scrutiny and judged by total strangers. You are forced into a vulnerable situation where if someone doesn’t like you, they’ll reject you. The biggest risk is making the decision to live somewhere on the basis of one viewing. What if you realise that you don’t actually like the room, the area or worse… your housemates?! You’ve already been to dozens of viewings and have now entered into a contract; do you really want to do that stressful dance all over again? 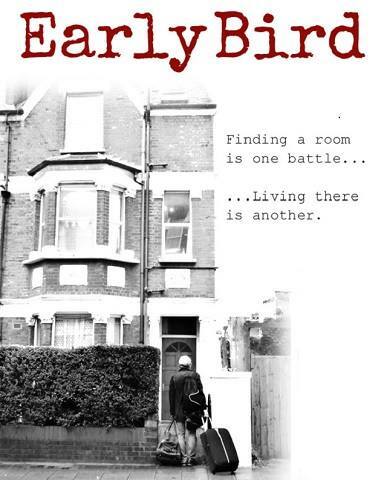 Early Bird tells the story of David, a recently single young professional who is struggling to find a suitable place to live in London. As time passes and the pressure mounts he is faced with the very real possibility of being homeless. Then, during a last-ditch property recon session he musters up one final viewing at a house in Tooting. The deal seems too good to be true and the live-in landlady – Sasha – seems perfect so David jumps at the opportunity. We truly believe that flatsharing is a scenario that will resonate extremely well with audiences. We are not trying to make a political statement or glamorise the flatsharing process. We simply want to use some real-life experiences and create an entertaining movie for you guys to enjoy! We’re incredibly passionate about this project and with YOUR support, we know that Earlybird will be a resounding success! 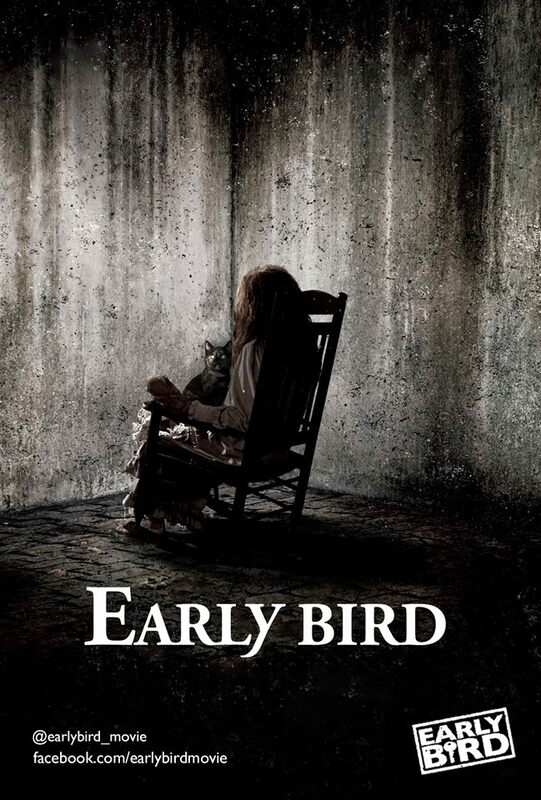 We want Early Bird to be the beginning of something truly special! Our target of £13,000 is the absolute minimum amount that we need to realise our ambitions. Any extra money pledged beyond our initial target will go towards future projects and not into our pockets! We want to make a difference within the film industry by giving new and exciting talent an opportunity to showcase their skills. And, In turn, we hope their careers will be able to flourish. Our long-term goal is to have several low-budget films in varying stages of development over the course of any given year and to utilise new and undiscovered student (or recent graduate) talent on each one. From script-development to post-production, we want to champion new talent! It’s so easy to become disillusioned with the state of the film industry and their lack of support for graduates. This is why we want to succeed and afford success-hungry students and graduates a chance to gain invaluable on-set experience and a film credit, instead of going down the generic and exhausting intern route. Fresh from graduating his MA Scriptwriting in 2009, Andrew moved to London in the hope he’d be able launch his career in the film industry and live the dream. He lived out of a suitcase for a year and interned at countless film distribution companies in the hope that one of them would offer his big break… they didn’t. When he eventually landed a (not so glamorous) media job and took the plunge into the world of flatsharing, he experienced his fair share of awful house viewings. He was working full-time and competition had become so fierce that he was forced to take a room without even viewing it first! The room was cold, dank and tiny, and to make matters worse there was no living room and he never saw his housemates. These forced decisions really sum up London life and when you couple them with the little everyday irritations of communal living, it’s a wonder why we put ourselves through it.